One crane-lift cycle is all it takes to raise the climbing scaffold (incl. formwork), swiftly and independently of the wind conditions, as it is guided up the side of the structure. The system is firmly attached to the structure by the vertical profile and the guiding shoe, in every phase of every cycle. During repositioning, the vertical profile is always safely guided in at least two 'Guiding shoes'. 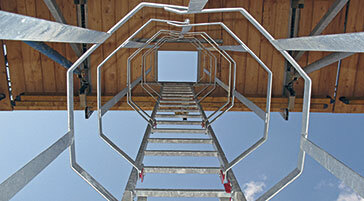 Integrable ladderways and manholes provide safe access routes between the working platforms. 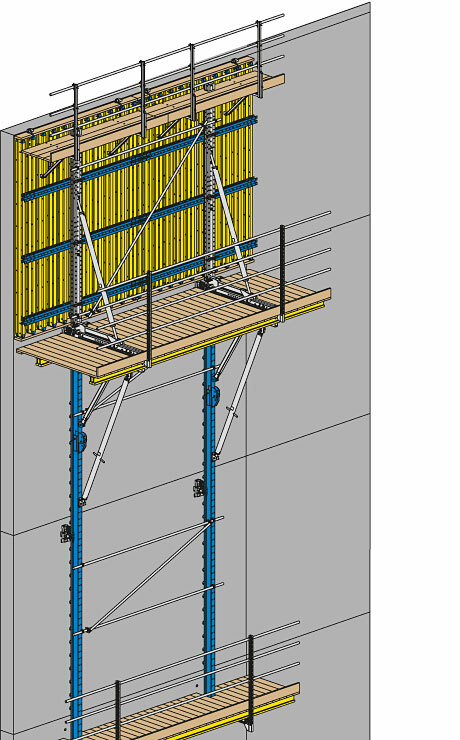 When designing climbing formwork solutions, the Doka planning professionals integrate all safety accessories, tailoring them to the construction project in hand. 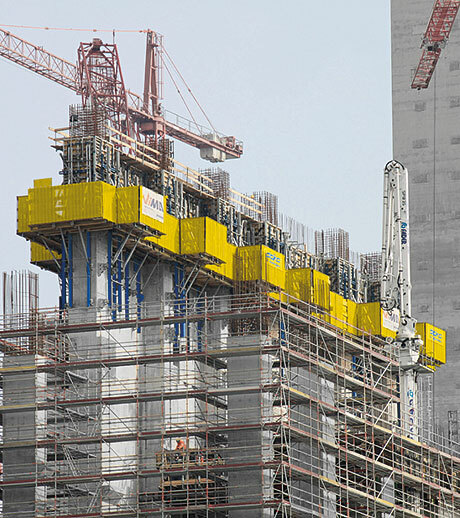 The Xclimb 60 system is so user-friendly that after a brief familiarisation phase supervised by a Doka Formwork Instructor, the site crew will have mastered all the worksteps involved. 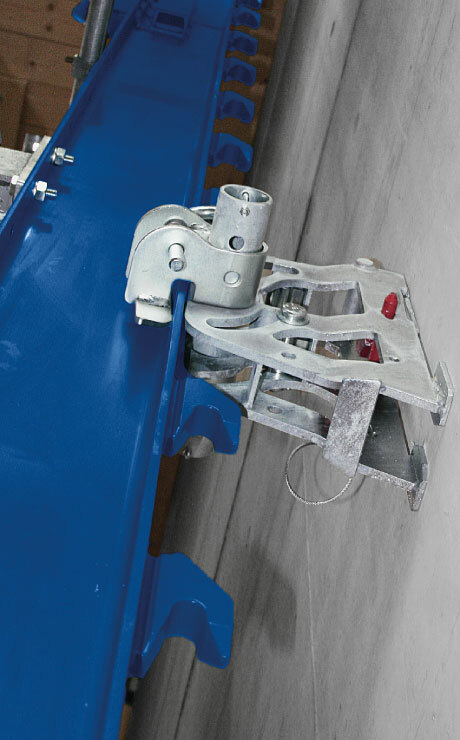 Whether on highrise cores, piers or industrial structures – the system's modular design concept allows the Guided climbing formwork Xclimb 60 to be used for many different types of structure. What is more, the system can also be used a protection screen with various different types of enclosure. Thank you for your interest - Guided climbing formwork Xclimb 60. Thank you very much for your interest - Guided climbing formwork Xclimb 60.